Imagine riding your bike on quiet country roads with views of forested hills on one side and rolling, pastoral fields on the other. Add refined vineyards and quaint B&Bs. Sound like an expensive trip to Bordeaux, Tuscany, or even the Napa Valley? Nope, it’s right here in the eastern United States. That’s right, two-wheeled adventure at its best can be found locally along the Shenandoah Valley Wine Trail. Riding the SVWT—like any great bike tour—doesn’t require a particular agenda or pace. Instead, savor the small things and soak up the experiences along the way. The trail travels approximately 200 miles (though that varies, depending on how many detours you take), through 19 different vineyards. 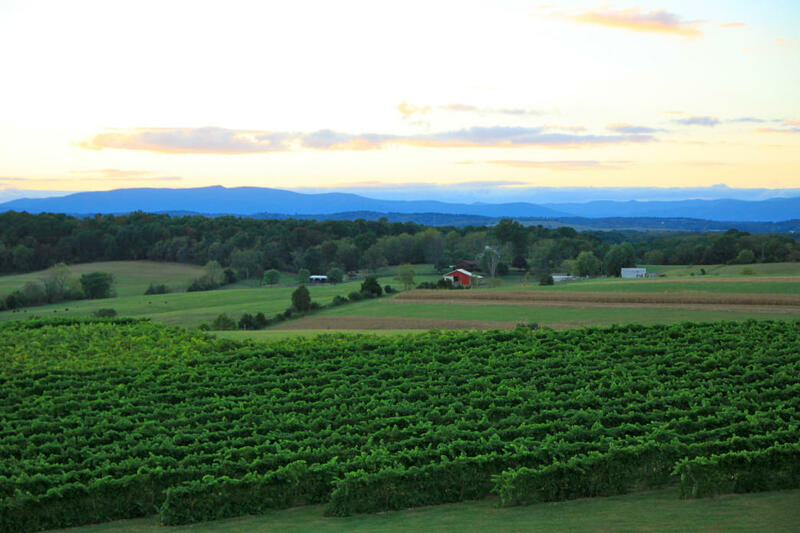 The Veramar Vineyard in Berryville, Va., forms the northern end while Blue Ridge Vineyard in Eagle Rock, Va., anchors the southern end. Although this tour could easily be done in a long weekend, it is best to give yourself some time to truly take in all of what the Shenandoah Valley has to offer. The SVWT lends itself to a casual 5-7 day ride at a leisurely pace. To really do the trail right, embrace the many worthwhile stops and cultural experiences found within the Shenandoah Valley. On the northern end, riders will probably want to follow roads paralleling the North Fork Shenandoah River. 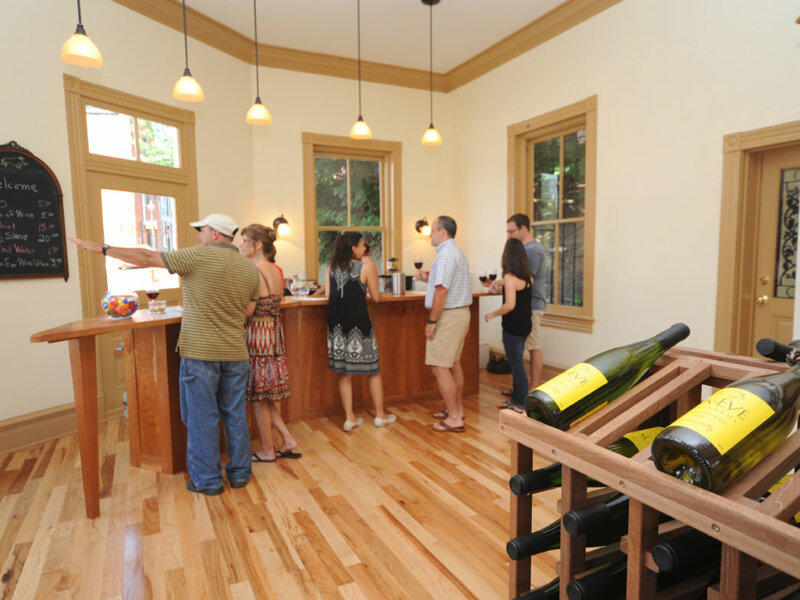 There you’ll find the North Mountain Vineyard and Winery in Maurertown, Muse Vineyards in Woodstock, and the second oldest winery in the state, Shenandoah Vineyards, in Edinburg. Moving further south along the SVWT, you might want to spend some time checking out the spectacular large chamber rooms and unworldly stalactite and stalagmite collection found at Luray Caverns before sampling some of the offerings from Wisteria Farm and Vineyards in Stanley, Va. The northern border of the Shenandoah National Park is found just outside of Luray and following Skyline Drive through the park is a good option as you make your way south toward the college town of Harrisonburg, home of James Madison University. On this leg of the trip you can take in all the splendor of a national park from the saddle of your bike. Harrisonburg would be a good option for a lunch stop. If you need to replenish any supplies or tune up your ride, the Shenandoah Bicycle Company and Rocktown Bikes are located right downtown. Restaurants such as Local Chop and Grill House, Clementine, The Joshua Wilton House, and the Little Grill Collective serve a wide variety of quality food throughout the price spectrum. 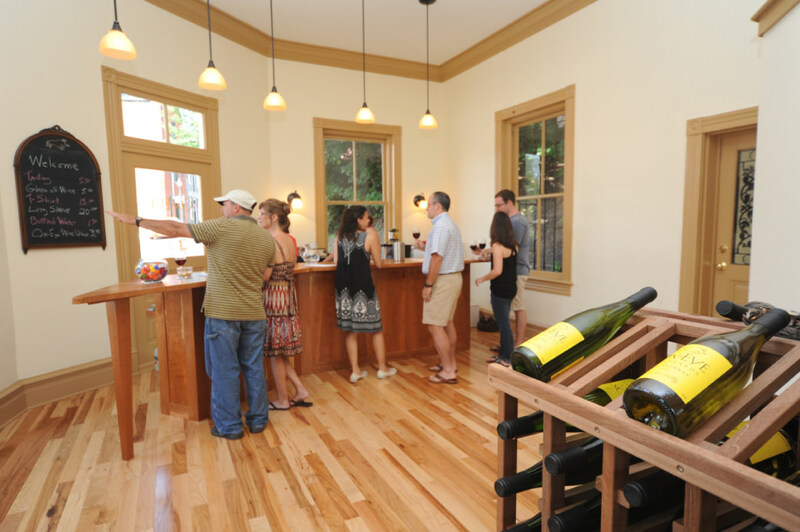 Just outside of Harrisonburg, you’ll find the beautiful CrossKeys Vineyards and Bluestone Vineyard. About 25 miles south of Harrisonburg is the town of Staunton, which is one of the most bike-friendly towns in the Shenandoah and one of “America’s Favorite Mountain Towns,” according to Travel + Leisure. Staunton is another great stop on the trail, and perhaps the best place to stay overnight. The town hosts festivals like the Shenandoah Fall Foliage Bike Festival, which is one of America’s best fall bike rides. Staunton is close to many outdoor attractions, including the 1,200-foot Crabtree Falls, the highest vertical cascading waterfall east of the Mississippi. Another must-do side trip is Humpback Rock, a massive rocky summit with panoramic views of the surrounding countryside. With both St. Mary’s Wilderness and the Blue Ridge Parkway nearby, Staunton is ideal for an active rest day filled with excursions. It’s also home to an attractive lineup of downtown restaurants and three breweries, should you want to switch things up. 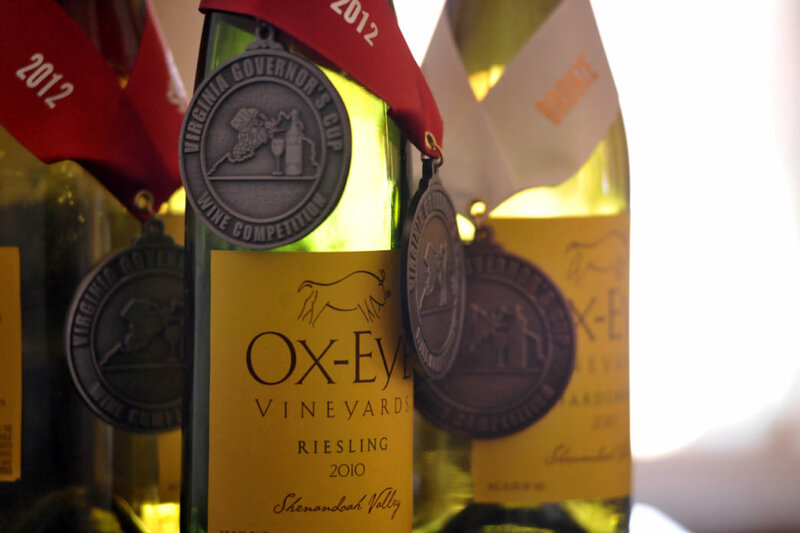 If you want to stick to wine, choose from two vineyards, one of which is located right in downtown, Ox-Eye Vineyards. Restaurants such as Aioli Mediterranean Tapas, Byers Street Bistro, The Shack, and Zynodoa have become destinations for foodies. Queen City Brewing, Redbeard Brewing, and Shenandoah Valley Brewing serve up a wide variety of local craft beer. Walking throughout downtown, browsing the artisan shops, and taking in the historic architecture provides a nice break from time in the saddle. When you’re finally ready to settle in for the night, there is no shortage of accommodations with many hotels, motels, campgrounds, and over a dozen B&B’s such as the Frederick House to choose from. As you continue to work your way south down the SVWT you’ll be surrounded on both sides by vast stretches of wilderness in the George Washington Forest. Depending on your level of comfort, you might want to explore some of the nearly endless miles of forest service roads found here. A pure road bike with racing skinnies would be outmatched on most of these roads, but with a fatter tire more suited for touring you’ll be fine. The last big town that you’ll pass near is Lexington, and in that vicinity you have Jump Mountain Vineyard and Lexington Valley Vineyard. Like Harrisonburg and Staunton, Lexington would make a fine stopping spot with all kinds of amenities available and loads of nearby attractions. Restaurants like the Red Hen and Haywood’s serve farm-to-table style meals with most ingredients sourced locally in the Shenandoah Valley. Prime outdoor attractions like Natural Bridge, Chimney Rock Overlook, and the Blue Ridge Parkway are close by. Originally written for Staunton VA.